Most trading books cover trading strategies that use a mix of candlestick patterns, chart patterns, and indicators. While they offer a rounded view of trading methods, they are inadequate for traders who want to focus on trading price action. Indeed, price action trading books are rare finds. After some intense digging and reviewing, we have rounded up 10 solid price action trading books. They are not listed in any order. Pick one based on your current trading style and skill. Clicking on the book images brings you through our affiliate links to Amazon product pages where you can read more reviews by other traders. The review score is taken from Amazon at the point of writing this article. Please buy through our affiliate links if you find this list useful. This series of three price action trading books has become an authority on price action trading. Price action trading originated from the Dow Theory, and traders have discussed various price action trading techniques long before Al Brooks’ books. Although Al Brooks did not invent price action trading, he certainly created a point of reference for price action traders. In his “Trading Price Action” series, he introduced terms like “second entry”, “trend bar”, “barb wire, and “M2B/M2S“. While these price action concepts are definitely not unique and have been known by other names, Al Brooks has added great value by combining them into a comprehensive system of analysis and trading terms. The Wikipedia entry on price action trading is almost like a summary of these three tomes. The subtitle of his books is “Technical Analysis of Price Charts Bar by Bar for the Serious Trader“. I agree wholeheartedly. You must be a serious trader. At least, you should be serious enough to plough through hefty books in which the writing style ranges from “detailed” to “convoluted”. However, if you are serious about learning price action trading, you will definitely find value here. If you want to start with something easier on the palette, consider our other recommendations below. Bob Volman focuses on a specific price action trading style that is not suitable for everyone. He scalps small profits out of the forex market using the 70-tick time-frame. The writing style is genuine. And compared to Al Brooks’ price action series, this price action trading book is highly readable. Moreover, he does not try to sell you an online trading subscription or a $999 proprietary indicator. To me, that is a huge plus for any trading book. While Al Brooks describes a system of analysis with less focus on exact trading setups, Bob Volman explains seven clear trading setups. Hence, if you are looking for precise trading setups for scalping, Bob Volman’s book is what you want. If you want to acquaint yourself with his methods before deciding if you want to buy it, take a look at these forum threads. Of course, without reading the book, these threads provide limited value. However, they offer perspectives from traders who have already tried his methods. The choice of topics is fantastic. This price action trading book gives you everything you need to start learning price action analysis. It is organized and concise. It is not a book that teaches you how to trade with trading setups with a complete trading plan. However, it is one of the best for picking up price pattern tools that will help you trade profitably. The book also comes a DVD that has a seminar given by Martin Pring on the latest tools for price pattern recognition. Great value. After Steve Nison introduced Japanese Candlesticks to Western traders, the candlestick chart has become an essential feature of any charting platform and the default chart type of most traders. For many traders, life is never the same, and a lot brighter. Candlestick charting adds a great deal of depth and variety to traditional bar patterns (like those covered in Pring on Price Patterns). Poetic names like Engulfing, Hammer, Shooting Stars are now commonplace among price action traders. Typical candlestick trading strategies include combining candlestick patterns with chart patterns and pivot points. While information on candlestick patterns is easily found online for free, they are loosely organized and hardly comprehensive. For a reliable and organized way to learn candlestick charting, get Steve Nison’s book. If you are happy with what you see in this book, take a look at Steve Nison’s other book, Beyond Candlesticks: New Japanese Charting Techniques Revealed . Trend line analysis is a key price action trading tool. However, trend lines usually occupy at most a chapter of any price action trading book. Andrew’s Pitchfork is the only trend line trading method that has entire books written on it. While Andrew had a unique way of drawing his trend lines, price action traders can adapt his trading techniques easily for traditional trend lines and price channels. There are several books on Pitchfork analysis, but this one written by Dr. Mircea Dologa stands out. It is clearly written with a comprehensive scope and well-pitched for beginners who have never heard of the Pitchfork. Also, we could not help noticing the great reviews from well-known technical analysts like Chuck Lebeau and Dr. Hank Pruden. Being an ultimate guide, it is not surprising that this book has three authors: John Hill, George Pruitt, and Lundy Hill. This book is geared towards developing mechanical trading systems with price action behavior. While the ending chapters on mechanical systems might not interest the discretionary price action trader, the bulk of the book focuses on price action behaviors like action/reaction, continuation, reversals, and support/resistance zones. While its contents are put together in a piecemeal manner and it is by no means “ultimate”, there are many hidden gems within this price action trading book. Overall, it does an excellent job of deriving exceptional trading setups from price action. Traders looking for new trading ideas should find interesting stuff here. The Yum-Yum continuation pattern is an example of a setup from this book. I decided to include this book because many price action traders use volume in their price analysis. And notably, Al Brooks does not feature volume in his trading methods. Hence, this book is a great complement to the Trading Price Action series for traders who like to include volume into their trading. This book is a concise work that covers everything you need to know about volume analysis. Anna Coulling’s description of how and why volume analysis works is easy to follow. Although volume is a key ingredient in Dow Theory, most traders find it hard to truly understand the impact of volume in their trading. Most volume trading methods are obscure and difficult to implement. In her book, Anna Coulling has managed to keep things simple and practical. This book is a real bargain for traders looking for their first book on volume analysis. Wondered if chart patterns are reliable? While this book does not prescribe an exact trading strategy, it has more than enough facts and figures for you to build your own trading tactics and to have faith in the patterns you are seeing. This book has no equal when it comes to a statistical study of price chart patterns. Identifying the trend or the lack of one is the cornerstone of successful trading. It applies not only to price action traders but to traders of all styles. Hence, it certainly deserves more attention than just a simple definition. What L. A. Little attempted in his book is commendable. He constructed a framework to qualify trends and to find the best among them, using only price and volume. This idea of using price and volume to confirm trends is attractive to price action traders who want a minimalist trading style. Price action traders commonly delegate the job of defining the trend to moving averages or simple trend lines. L. A. Little goes further and takes a hard look at the structure of trends to assess its quality. While the concepts are not revolutionary, the trend-oriented approach in this book is beneficial and offers a different perspective to trend trading. The anchor zones is a concept from L. A. Little. In case you are wondering why we included this book for price action trading, its subtitle is “Market Structure, Price Action, & Trading Strategies”, which really sums up its contents. This price action trading book is extremely well-organized and packed full of sound trading ideas. After explaining the dynamics of market structure, it zooms in on uncluttered charts and explains clear trading setups while highlighting the “art” of trading. The section on practical trading templates is especially impressive. Rather than prescribing exact rules or staying away from specifics, he offers sound templates that you can use based on your own analysis. Together with sections on risk management and an entire part geared towards “The Individual, Self-Directed Trader”, this book is one of the best complete guide for price action traders. Are You Ready for Price Action Trading Books? Before you jump into the deep end of price action analysis, remember that its roots are in technical analysis. Make sure that you have a solid foundation in technical analysis before delving into price action trading. For that, I recommend that you take a look at the Level 1 reading list of the Chartered Market Technician Program. If you are already familiar with the basics of technical analysis and hope to hone your price action trading skills, go ahead and take your pick among the price action trading books above. Cut the time you need to master price action trading. Regain your time with a concise package of price action learning materials. 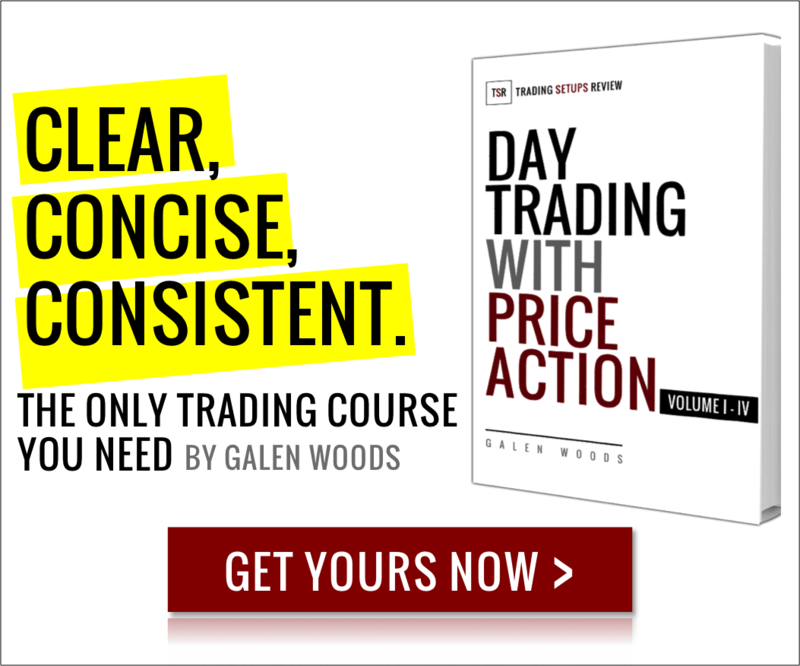 Hi Galen, Bob Volman has published a second book ” Understanding Price Action: Practical Analysis of the 5 minute time frame” Looks like a good one as well. Hey Gary, I just saw it on Amazon today as well. I will be adding it to this list. Thanks for the info! great list! 7 of these are already in my library and i’ll add a few more. one of the top books i have that is not in this list is the book by lance beggs on price action. i like it better than the one from anna coulling or bob volman. Thank you for sharing. And you do have a fantastic library of books!